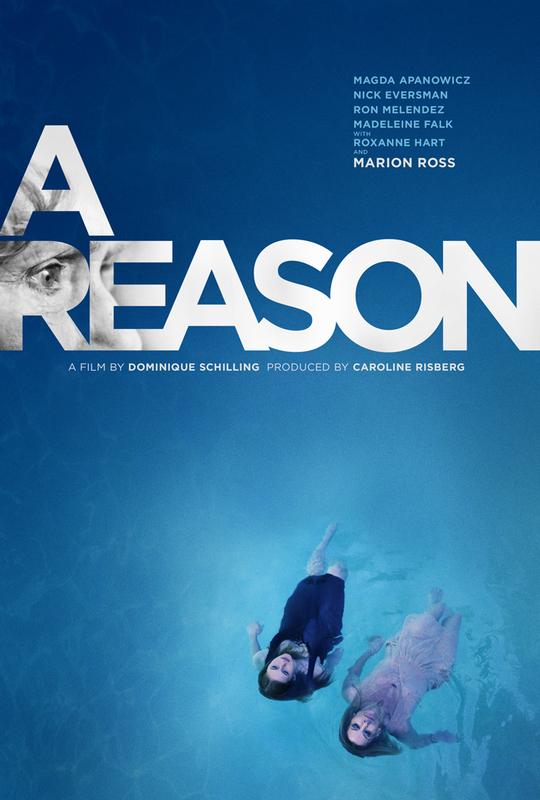 We recently had an opportunity to catch up with Dominique Schilling (writer/director) and Caroline Risberg (producer)to discuss their new movie, A Reason, starring Marion Ross (Mrs. Cunningham from Happy Days). See what they had to say about working with a Hollywood legend, their biggest obstacle for this film and what they have in store next. What was the most memorable moment for you while making “A Reason”? Dominique: That’s a hard question. There are so many memorable moments, like when I first drove on to set or when we shot the driving scene with Magda Apanowicz and Nick Eversman. It was an extremely calm experience within the stress on set. Then there was the pool scene and the slap scene. Working with Marion Ross. I would have to say the last shot of the film got my biggest emotional reaction. The camera pulls out in one continuous shot from the balcony through the dining room through the hallway and outside through the courtyard and into the sky. I always imagined that shot and walked through the house while writing that last shot, so when I saw it on the monitor and the steady cam was slowly stabilizing and started pulling back, I actually teared up. Yes, I’m the type of director that can cry over a great shot and I try to see that with an ounce of self-humor. Then of course, working with the wonderful crew, my producer Caroline Risberg, DP Matthias Schubert, editor Brad Durante, sound designer Dan Newman and composer Kim Planert. Making A Reason was through and through a memorable experience and I honestly loved all of it. If you could go back and change any scenes, would you? If so, what would you change? Dominique: I wouldn’t change a thing. I’m not saying that because I’m arrogant and think that I’m perfect… far from it. However, this film really came from the heart so even if I feel that maybe a couple of scenes might have turned out too long for my taste here and there, it was my honest and true emotion at the time and that means something to me. We always grow and learn. Also, other people don’t seem to think those scenes are too long, so it’s all a matter of perspective. So… no, I wouldn’t change a thing. What was the biggest difference in directing your first short film “A Bridge of Hope” to this film? Dominique: The amount of responsibility. When I shot my short films I usually financed them myself for very little. The crews were small and the shoots were just a couple of days long. On A REASON I had investors, a much larger crew, and the shoot was of course much longer. It takes so much more endurance, patience and drive when making a feature rather than a short. One constant was actor Charles Marina. He played in A Bridge of Hope and also starred in A Reason. It made it feel like things came full circle which was really nice. Marion Ross is a Hollywood legend, what was the best part of working with her in “A Reason”? Dominique: I guess I was very grateful that she gave me so much credit. She could’ve had an attitude and no one would have blamed her for it but instead she treated me with kindness and respect. She is enormously professional. The best part was watching an actor of her caliber bring the character I envisioned to life and filling it with all colors; bringing that depth and reality to it, and seeing her joy for acting. She an amazing person, not just because of who she is to the world, but because of who she is on the inside. Nick Eversman, currently seen in “Wild” and the upcoming film “The Duff”, played a very angry character in this film. What direction did you give him for the more intense scenes? Dominique: Nick Eversman is a very upbeat guy. He was a joy to work with. He spread his positive energy to everyone on set. In other words, in person, he’s the exact opposite of this greedy, manipulative character Nathan. I tried to make the character mean something to Nick so he would be able to understand Nathan. It’s always good when an actor can play a character without judging them, most of all when the character is a villain. I told Nick a secret about the character that only he gets to know. Nathan is really in debt and his whole life is about to fall apart because of it. This deepens the motivation of the character minimally, but not enough to confuse the actor or change the story. I simply raised the stakes higher for Nick’s character to get the money and gave him a stronger motivation, creating a sense of urgency. I feel it helped Nick bring reality to his scenes. I think it works nicely in the movie. Everyone hates Nathan and is supposed to hate him. I also played music for Nick. Not aggressive music, but it played against the characters emotions. It was very slow, calm music that will test your patience. It worked. Nick did an amazing job. How did you feel on the final day of shooting when you said "Cut" for the final time and to follow up, what was going through your head when you first watched the finished movie? Dominique: Saying my final “cut” was amazing but it wasn’t until I heard my AD Aaron Moskal say “That’s a wrap” that’s when I felt relieved. Watching the finished movie for the first time, however, was very anticlimactic. I had Final Cut, so I was actually there during the entire post-production. I had watched the film so many times by then that I was just concentrating on every aspect of the film and couldn’t enjoy it. I was watching the performances, lips for synch, listening to the audio mix, focusing on the color and the cuts. For me, that moment of happiness came when I saw the film at a festival at the Regal Theatre at LA Live, with great sound and screen quality. I had watched the film on everything from little computer screens, TV screens, to studio screens, but not on a theatre screen. Sitting there with my producer Caroline Risberg and watch the film how it is meant to be seen, was an amazing experience. You have worked everywhere from Fox Sports to Warner Brothers. What prompted you and Dominique to form Risberg Schilling Productions? Caroline: Before I met Dominique, an executive at Warner Brothers gave me the advice to go and make my own films. This inspired me to create a production company. I met Dominique and we became friends. I got a job to produce a music video and I felt that the director that was already onboard needed help directing, partly because of a language barrier. I asked Dominique if she wanted to work on it. Long story short, she and I dealt with a lot of issues during the shoot and saved the day and I realized wow! We work well together and I love her energy. Then Dominique approached me and asked me if I wanted to produce “A Reason”. I felt strongly about Dominique as a business partner and friend, so I asked her if she wanted to open a production company with me so that we could make films together. 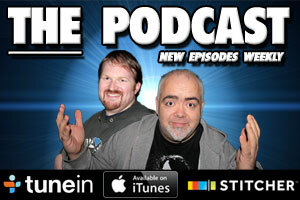 That’s how Risberg Schilling Productions was born. What is your favorite scene in “A Reason”? Caroline: Oh wow, I have so many scenes that I love. The aesthetics and the metaphor of the pool scene; I just think it is beautiful in every way. I love the scene when Aunt Irene (Marion Ross) confronts Nathan (Nick Eversman) for the first time. It is such a strong, important scene and Ms Ross is so powerful in it. I love when Aunt Irene talks to Serena (Magda Apanowicz) in the end about life and being strong. There are some really important lines in it, from an old wise woman to a young lost girl. What was the biggest obstacle while filming “A Reason” that you had to figure out as a producer? Caroline: The biggest obstacle was time! When I got the script in March we already had the shooting location, a beautiful house in Pacific Palisades that was going to be torn down in September. I had to find investors, start pre-production, production and make sure the film was wrapped within 5 months. That was quite a ride. You are currently producing the upcoming film “Little Girl, Big Eyes”. Are you approaching this film any different than that for “A Reason”? Caroline: I am not approaching it in any different way other than that I have more time on my side! For “A Reason” we had to find a really good crew in every aspect. For “Little Girl, Big Eyes” we will work with the same crew again and we are very excited about that. We are really looking forward to start filming again.